The USGA “saved” golf several years ago by banning anchored putting strokes. Personally, I don’t care if you anchor your putter. You can anchor your driver, if you want to. But now the USGA is saying, beginning in 2016 you cannot post rounds for your handicap if you played alone. No witnesses, not post. This decision is making people quite upset. Golf Canada said they will not adhere to the new policy. Actually, it does the opposite. 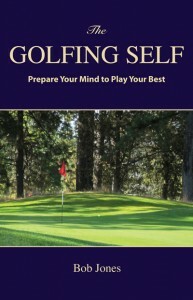 It liberates us from golf having to be a competition every time we go out, always having to play our very best because every shot has implications. Handicaps were designed to level out competitions. But just because you might compete at sometime in the future doesn’t mean that every stroke you play has to be hit with that uncertain future in mind. This new policy gets us one step closer to a recreational game in which we go out to the course, bat the ball around, and have fun in a beautiful, relaxing environment, and nothing more. 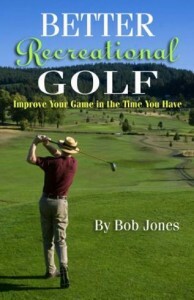 The point is, many golfers enjoy playing alone, and then there are times you just want to run out, grab a quick nine, enjoy yourself, and then get back to your life. When you’re out there and you want to hit a do-over, go ahead! If you want to bend the rules or (horrors!) ignore one, go ahead, because you won’t be posting your score. So go enjoy yourself. You won’t have to worry about the USGA’s handicap gods spoiling your good walk anymore. Whether they know it or not, the USGA just made recreational golf a better game. I doubt that’s what they intended, though, so let’s just keep this our little secret. To get better at swinging the golf club, you have to swing it a lot, the right way. The 120 Swings drill, more than any other, meets that need. 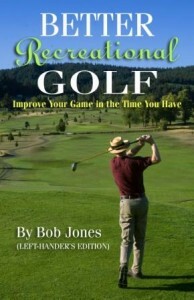 It comes from my first book, Better Recreational Golf. You’re going to swing the club 120 times, in five sets of twenty swings, each set different from the last. It might take you three minutes to complete each set. The complete exercise takes about twenty minutes. Start out with twenty normal golf swings. You’ll be hitting a ball only every tenth swing. 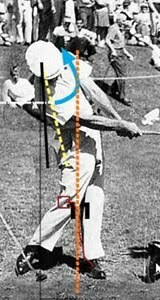 For swings 21-40, swing with your left arm only. Swings 41-60 are your normal swings again. Swings 61-80 are right arm-only swings. Swings 81-100 are two-handed, but with your feet together, heels touching. The final set, swings 101-120, is back to your normal swing. The one-armed swings teach you what that arm does in the swing. It will also help you strengthen your left arm when you do that set. The point of the feet-together swings is to teach you how to move your upper and lower body together. You will not be able to make as great turn with your feet together, so don’t force it. Step away and set up before every swing. Take your time. This prevents you from getting into a groove that will not last beyond the conclusion of the drill. It is very important that in any set you swing the same way every time. Do not go trying different things with each swing. Swing the same way every time. This is especially important when you hit a ball with that tenth swing. If you change your swing, you’ll feel it, and that tells you are ball bound—a bad habit that needs to be broken. Use the same club for the entire drill. A 6-iron is an ideal club. I would recommend not using a driver. An advanced application of this drill is for the club to impact the ground in the same way with every swing. This means you are in control of the depth of your swing, a vital but seldom-mentioned requirement for consistent ball-striking. Do this exercise twice a week. It will make your swing repeatable without your having to think about more than any drill I know of.